What drives us to lie, and why is it so hard to stop? 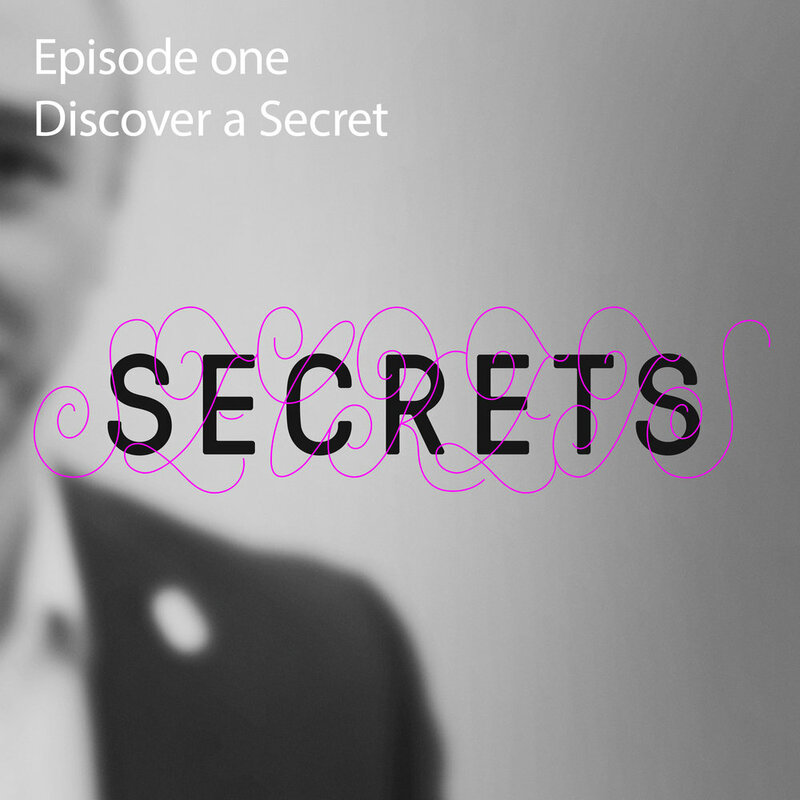 Secrets explores the secrets we keep in our lives, and the overwhelming complexities of being a human being. For radio producer Mohamed El Abed, it all began when he was 12 years old, and he found out he had an older sister en route to his mother’s memorial service. Across six episodes you’ll hear Mohamed’s story, and meet both people who live every day with a significant lie, and people affected by the lies of others. You can subscribe to Showcase to hear Secrets and other great series that are featured on Showcase. Mohamed El Abed is a radio producer and award-winning concept developer at the Soundtelling production company. In Sweden he has produced several podcasts dealing with subjects such as diversity and integration. He has a background in urban planning, working for the city of Stockholm and the Swedish Government. Martin Johnson is an international award-winning radio producer and concept developer at the Soundtelling production company. Johnson’s programs have aired around the world from Australia to Canada and the US. His investigative podcast, Spår, triggered a retrial for a Swedish murder and helped get a man released from prison after 13 years, creating headlines across the world, including from the BBC, Newsweek and The Times. Åsa Secher is a radio producer with years of experience working with Swedish Radio, among other things, as the Executive Producer for current affairs show Studio Ett. As a reporter she’s filed for shows like Plånboken, Medierna and Kulturnytt. She has a master’s degree from Columbia University Graduate School of Journalism where she also worked as a teaching assistant to radio professor Kerry Donahue. Soundtelling Is a Stockholm based production company that creates innovative, intimate and sound-rich podcasts sponsored by companies, or created specifically for companies such as Asics, WWF and the Royal Technological School of Sweden. How is it to live with a secret that no one can know about? What happens when that secret is exposed? In episode one we’ll meet host Mohamed El Abed, who embarks on exploring a 25-year old family secret, and Neil Woods who, as an undercover policeman in the UK, pretended to be a heroin addict for 14 years while he had a wife and two children back home. What happens when a secret becomes larger than life? When Mohamed’s mother was a young teenager in Morocco, she entered an arranged marriage with his father, Ben Assai. When Mohamed’s father eventually travelled to Sweden to start a new life for his family, he met another woman and with her conceived a secret daughter, Maria. In episode two, we also travel deep into the forest to meet the Norwegian nature photographer Terje Hellesö, who took photos of a world in the forest that didn’t exist. What happens when you’re too ashamed to face the truth? Mohamed’s parents both worked as cleaners, trying to earn enough money to feed six children. When Mohamed was just a year old, his father left his mother in Sweden and travelled back to Morocco, leaving her alone to raise their children. She continued to work day and night to make ends meet. Since Mohamed’s childhood, thousands more immigrants have arrived in Sweden with dreams of a different life. In episode three we meet Zakaria Hersi, who was too ashamed to tell his father, who was living with him, that he was unemployed. Instead he spent months in the public library, pretending every morning to commute to a job that didn’t exist. EPISODE FOUR – WHO WAS MY MOM? How is it to be the one who is kept in the dark? When Mohamed’s mom was left alone with her six children, she worked herself to death, and eventually collapsed at home with a heart attack when Mohamed was 12 years old. Now, 25 years later, there is no one to answer the questions he would like to ask her: How much did she know about Maria, the secret sister? How much did his father lie to her? Also in episode four: Andrea Hunter and her boyfriend had two children together. Turns out he was also living a completely separate life in London – a life that she knew nothing about. How do you know if you ever truly know someone? Mohamed’s father abandoned Mohamed, his mother and his sisters and moved back to Morocco. There he started a third family. He told Mohamed’s mother nothing of this, and told the new family in Morocco that his family in Sweden had died. Mohamed’s father died of brain cancer in 1998, carrying all of these secrets with him into the grave. Also in episode five: We meet Swedish comedian Tobias Ström, whose long-distance girlfriend told him she was dying of cancer. But the details didn’t quite add up. What happens when you face the secrets you live with? In the final episode of our series, Mohamed’s secret sister Maria finally agrees to meet. Mohamed brings his daughter Samira with him to the meeting at Maria’s house a few hours drive outside Stockholm. They finally meet and talk, and try to understand together why Maria became a secret for the rest of the world. Also in episode six: We meet the former MI-5 agent Annie Machon, who was forced to hide from the British intelligence after blowing the whistle on classified agency activities.